What BeanBags are at Ronald McDonald House Latest Project? One of the largest charity projects in Nedlands during the past two years has been the construction of the new Ronald McDonald House (RMH) next to the Perth Children’s Hospital in Subiaco. The previous RMH was limited to 18 beds, but the new facility now has room for 190 people every night. 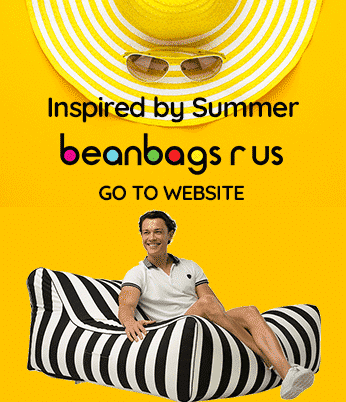 Bean Bags R Us is proud to announce that we have been chosen to supply the building with some of the best bean bags available today. The new RMH was constructed with money donated to the charity by supporters. Initial projections put the job at $29 million, but the final cost was $25 million to $27 million. Ronald McDonald House Charities has had a presence in WA for more than 22 years, and in that time it has earned the trust of residents, businesses and public ministries as a reputable charitable organization. Among the largest donors were Lotterywest at $8 million, BHP Biliton at $5 million and Fortescue Metals Group at $2 million. Construction of the building began in April 2014, and it was completed in September 2015. The opening of the facility was timed to coincide with the opening of the new Perth Children’s Hospital in November. Although the opening of the hospital has been delayed, the RMH remained on schedule, housing families to meet with their children being treated at Princess Margaret Hospital. While the old facility was comprised of only 18 rooms, the new RMH can house 190 people in 47 suites, and it includes several other amenities. The building consists of four stories in addition to an underground parking garage and rooftop terrace. Much of the design can be credited to Insight Project Services in Perth. Communal dining and living rooms – These areas help families feel at home while their young children are treated in the hospital. Televisions and comfortable furniture are available to provide a hospitable environment. Commercial kitchen – The commercial kitchen is fully equipped with everything needed to cook delicious, wholesome meals. Separate storage spaces in the cupboards, refrigerators and freezers are available for families, allowing them a few comforts of home. In addition, the kitchen is used by Make-a-Meal volunteers who provide dinner to guests most evenings. Laundry room – The laundry room allows families to wash and dry their clothes without having to leave the facility. Teen den – The teen den includes Internet access and several gaming consoles to help bored or anxious teenagers keep busy or just hang out with peers. Children’s toy room – The toy room was designed with the younger family members in mind. It allows small children to play in a clean, safe and friendly environment. Playground – An outdoor playground is provided so that children can play and families can spend time together in the fresh air. 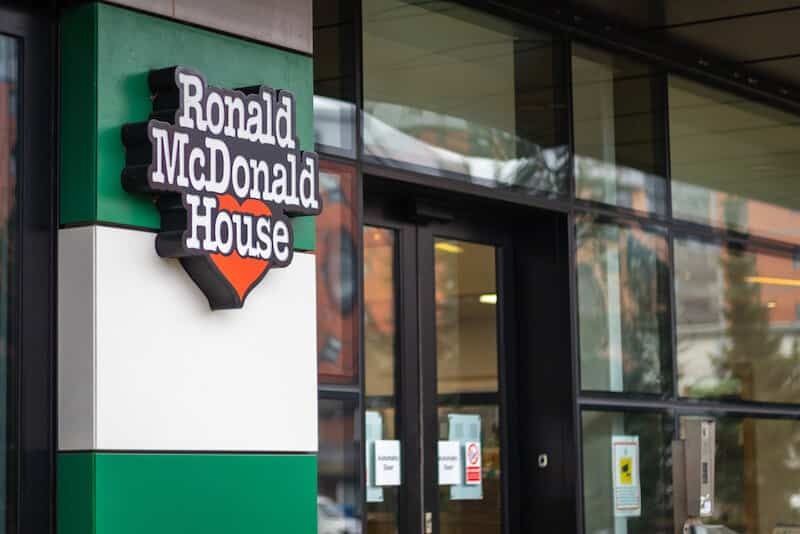 Ronald McDonald House Charities was founded in 1974 using a model of networked local chapters. The organization now provides services in more than 60 countries around the world. The primary thrust of the charity is to provide local housing for families with children requiring medical care at distant hospitals. With RMH, families with seriously ill children do not have to worry about finding and paying for accommodations in a strange city, all of which add to the stress of the situation. All services are provided at no cost for as long as needed, whether it is a single day or several years. The only criteria for staying are that families have a child or baby who requires specialized healthcare and that families live more than 100 kilometres away from the hospital. The RMH Perth has been open since 1990, and during that time, it was helped more than 3,500 families from rural WA. The new facility is the first RMH with a dedicated Real Needs Learning Centre, which provides educational and support services to help families deal with the impact of having an ill child. After careful deliberation, RMH Perth decided that the best bean bags for their needs are the Freaky Cousin chairs for kids available from Bean Bags R Us. A total of eight chairs were purchased in four different colours: orange, lime, turquoise and red. The chairs are not only comfortable and aesthetically pleasing but also ergonomic and durable. They are constructed of heavy-duty 1680D polyester, and they include mandated safety devices to protect small children. They are perfect for children’s bedrooms, playrooms, schools, libraries and hotels.